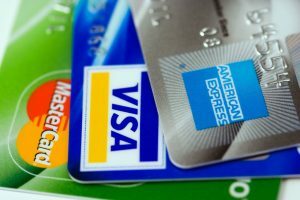 This website is intended to help make sense of money and offer advice about ways to save, so it may seem hypocritical to write an article about using a credit card for all money going out, but actually using a credit card makes financial sense. Sure, going on a spending spree on unnecessary expenses will only lead to a blown budget, not being able to pay off the balance, and paying plenty of interest, so there is a great deal of responsibility when it comes to using plastic versus cash. When used correctly, a credit card can offer benefits simply by making the regular expenses that you would be making anyways, putting on your charge account. Unless you are going to your local farmer’s market where cash is the only method of payment, and I have lately even start to see those accepting swiping, generally credit cards are accepted anywhere and everywhere. You could argue that debit cards are as well as long as it has the Visa or MasterCard logo on it, which is true, however it could mean one difference, a huge hold on your bank account. If you are reserving a hotel room or rental car and use your debit card, in addition to payment, a significant deposit will be placed on your bank account and will begin to clear after checkout or return, but it can take up to a week for the hold to release and become available. With a credit card, even if an additional deposit is charged, it doesn’t subtract from any available funds and the hold will be released by the time the next statement arrives anyways. Being able to dispute charges on the account is actually a huge plus for actively using a credit card, but you still need to actively manage your online statement to make sure all of the charges are valid. Much like a debit card for hotel and rental card holds, the same goes if you happen to be a victim of fraud and are looking for charges to be reversed. Your account would have already had the funds removed with the purchase, but it can take time to be deposited back in after investigation. With a credit card, it will all be sorted out by the time the next statement arrives, and even if they are pending, you will not have to pay. If you do not have a good rewards credit card, you are just throwing away free money. If you combine monthly bill payments (except the mortgage, loan, or other credit card bills, have to be from a bank account), along with monthly spending such as gas, food, and entertainment, you will earn money back by putting everything on your credit card. For example, I have the Citi Costco account and I earn anywhere from 1-4% cashback, that I receive in a check once a year. Our year is approaching next month and I am currently a few dollars away from reaching $600 just in cashback!